Bell Labs was the first to discover that spoken word patterns and sounds could be identified and characteristics examined to identify the individual who made them. This has been a very important advancement in forensic science because the potential to assist law enforcement is well worth the effort it takes to defend the proponents and practitioners. Audio forensics is sometimes referred to by some as a ”junk science.” After over 25 years of examining, editing and clarifying audio recordings, I can attest to and scientifically prove that voice identification and audio authentication comprise an exacting science that has huge benefit to the courts, law enforcement agencies and businesses. In the following article, I will describe what works and does not work for two of the main activities of audio forensic experts: voice identification and audio authentication. I will also review and break down the steps and processes I employ and explain why I believe audio forensics is a valuable tool in litigation. I have been retained for dozens of court cases, as well as by corporations, to analyze and help explain various aspects of audio evidence in one form or another. Some situations required that I find the truth about the source of a threatening voice, like a bomb threat called into 911 or a sexually harassing voicemail left on a victim’s phone. Other cases involved defendants trying to validate or disqualify a pre-recorded audio confession. Evidentiary audio recordings all have one thing in common: they needed an experienced audio forensic expert to review and either qualify (validate) or disqualify the evidence. My job as an audio forensic expert is to determine the recording’s authenticity or to identify the person’s voice. I have been practicing voice identification for over 25 years. Many of my skills and principles have been learned from employment as an audio engineer. Other skills I have learned through reading and studying to develop skills and completing successful cases successfully. I believe people’s voices, just like fingerprints, can be identified through visual inspection of sound waves and spectrum analysis, as well as through critical listening skills. I have conducted voice identification for sexual harassment, workers compensation and employment harassment, as well as various threatening voicemail messages like bomb threats. In our country today, we are guilty until proven innocent, the opposite of what our United States Constitution promises. It is my job to determine the truth about voice recordings using visual, electronic and auditory inspection of, both the evidence recording and an exemplar (voice sample taken for the purpose of comparison). A typical case I would review might involve a telephoned bomb threat or harassing call that was recorded on audiotape or digital voicemail. After the police arrested a suspect, I would be retained by either the state (court) or defense to determine the truth about that audio recording. Then, with the help of the court or defense lawyer, I create an exemplar of the accused voice to compare visual, electronic and auditory characteristics. Almost every legal case I have been engaged in has allowed my report and or testimony into evidentiary status to aid with ”due process.” I believe my success rate is high due to the fact that I employ the three testing platforms outlined above. Steady advances in computer technology have had a huge impact on audio forensic voice identification. Having experience as an acoustic engineer who has listened to literally hundreds of hours of spoken word recordings, in addition to sophisticated electronic software programs, has contributed to my success with voice identification. One case I examined involved a bomb threat. Bomb threats make up a fairly large segment of voice identification activity. The call in question was made from a pay phone outside of a convenience store to a 911 operator. This was scientifically evident when police traced the call. The caller identified herself by name as an employee of XYZ Company. When the police arrived at XYZ Company, they found the employee with the name the caller gave the 911 operator and arrested her. The employee denied making the call. She was charged with making a bomb threat call, guilty until proven innocent. I was retained by the defense to prove that our client did not make the bomb threat call. When comparing spoken word samples for the purpose of identification, I base my processes on historical information I have learned from the scientific community, state police crime labs, other forensic experts and designers and developers of electronic (especially computer) equipment and testing software programs. My process requires the visual, electronic, and auditory examination of every aspect of the words spoken, not just the pathological examination. The words themselves, the way the words flow together, the pauses between the words, the way the words are formed by the mouth and larynx can be measured using three processes. The first process is a visual examination of the sound wave, comparing the evidence and an exemplar (a voice sample of the accused). The second process is an electronic measurement of the evidence, which is then compared to the exemplar. The third process is perhaps the most important: critical listening skills that compare the evidence and the exemplar of how the words are spoken and pronounced. Noise floor and electronic measurement of speech and other audible sounds in the recording must also be considered and measured. Forensic procedure requires careful examination of all audio evidence characteristics, following procedures as outlined by the scientific community. These scientific procedures begin with the analysis of the quality of the audio recording. It is important to establish that the quality of the recording in question is acceptable and workable. Sometimes, it may be necessary for an audio forensic expert to apply some light equalization or other non-destructive audio processing to reduce or remove background noise that may interfere with the forensic examination. Voice identification requires the forensic examiner to discover similarities, as well as differences, in all three areas of investigation. 1. Visual examination of the original recording, analogue or digital. This includes examination of the physical characteristics of the tape itself (if analogue) or analogue or digital recorder. It is important to examine the cassette tape (standard, mini or micro) or other analogue or digital source to determine if there are visual signs of tampering or alteration. 2. Once the physical evidence has been examined, the next step is to load the recording in question into a forensic computer. Visual examination of the sound wave, sonogram and spectrograph reveal speech characteristics and patterns of verbal delivery as well as electronic characteristics. At this point, the recording has been digitized so forensic software can analyze and conduct various tests. 3. If possible, for authentication or voice identification, an exemplar or comparison recording should be made of the original recording to compare the original recording characteristics. This same forensic examination process that is applied to the evidence is also applied to the exemplar to determine that the characteristics are the same and the recording is from the same audio recorder. 4. When conducting voice identification, it is important to create an exemplar of the accused for audio comparison using as exact conditions and equipment as close as possible to the measurements taken from the evidence as outlined above. The speech must be the same as the speech on the evidence in order for the testing to be accurate. As an audio forensic expert, I often have to coach the accused into the same energetic voice tone and inflection as the evidence recording. However, it is still possible to compare speech if the exemplar is not as close to the evidence as I would like. 5. Critical listening skills are used to examine the speech pattern, pronunciation, voice tone and inflection, accent, dialect and specific speech characteristics (like a lisp or significant ”s” delivery). There is a rhythm in how an individual speaks, and even if s/he is trying to disguise his/her speech (in an attempt to fool the forensic examiner), the rhythm and speech patterns as described above still show through. The expert must pay careful attention to the rhythm of spoken word formations. I listen to single words as well as phrases and sentences. I like to compare original evidence sections of spoken word recordings as well as individual words. This is best accomplished by editing exemplars and original recordings back to back. It is extremely helpful to then make these sub files of words and sentences within the section back to back with exemplars. I repeat the assembly over and over to accommodate critical listening skills with the auditory identification process. That way, your ear can experience the sounds, vowel formations and consonants without interruption. There are many character traits that can be experienced in a spoken word recording. It is important for the audio forensic expert to become familiar with the evidence speech patterns and visual and electronic characteristics. These characteristics are evident in a person’s voice even if he or she attempts to disguise it and they are compared to the exemplar. Using many of the same tools as described above, audio authentication can help determine the validity of audio evidence that is being considered as evidence in litigation. When authenticating an audio recording, it is important that the audio forensic expert pay careful attention to tone consistency of the audio recorded signal (speech) as well as the recording’s noise floor. The consistent audio-recorded signal is important because audio recordings that are not authentic are most always edited or fabricated assemblies of two or more audio recordings for the purpose to deceive the person(s) listening to the recording. Using the tools described above, the audio forensic expert can measure the tone consistency to determine authenticity. I have been working with professional speakers and analyzing other spoken word recordings since 1980 and have developed my critical listening skills to a degree that far exceeds the average person’s sound perception. When I first hear audio evidence and add exemplar recordings so I can listen to both back to back, then I apply my critical listening skills to determine the speech similarities as well differences between the two. In my early days as an audio engineer, I learned to edit reel to reel tape with razor blades to make a recording sound as if it were recorded start to finish without a single mistake. Some of my edits were pretty tricky. I got so good I could split words in two and even three edits to fix a problem or shorten a script. After a while, I became very familiar with speech characteristics and patterns as well as vocal tone and pronunciation. The best way to become skilled in voice identification is to listen to hundreds of hours of forensic evidence to become familiar with the various speech pathological characteristics and develop critical listening skills. There can sometimes be differences in speech patterns that can help identify clues. Listen for several similarities as well as differences, such as nasal resonance differences and voice tone with regard to inflection. When conducting the examination, the audio forensic expert must look for similarities as well as differences in all three testing platforms to help arrive at a conclusion. After the investigation and testing procedures are complete, the forensic experts report must arrive at one of the following conclusions: positive identification, probable identification, positive elimination, possible elimination or inconclusive. The key to successful voice identification is to develop a methodology and standard procedure that you strictly follow every time you conduct an identification and comparison. 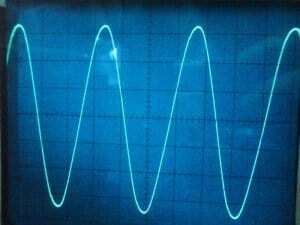 Every tone change in either the audio recorded signal or background noise must be documented and analyzed as a whole before considering the recording genuine or authentic. All forensic concerns must be documented and listed in the forensic report to prove the audio forensics findings. 1. The introduction: What the expert was asked to do and how the expert arrived at their conclusion, including all scientific fact. 2. The testing processes you employed to ex- amine the audio evidence. 3. The expert’s conclusion of the tests, includ- ing the expert’s opinion as to the relevant facts and concerns. 4. The expert’s curriculum vita (resume) to establish credibility as an audio forensic expert, and to accommodate the Federal Court’s protocol for submitting an expert report. 5. A published article authored by the expert concerning the kind of testing relevant to the current case. For more information contact Ed Primeau at 800-647- 4281 or by email Ed@PrimeauProductions.com.